As I do every year, I am taking this week to relax, recharge, and ski with friends. While I'm away I will be re-running the most popular posts of the year. This was the most popular post in November, 2014. Around this time last year I shared a neat Google Spreadsheets script called Flippity. Flippity was originally designed to help you create flashcards through Google Spreadsheets. 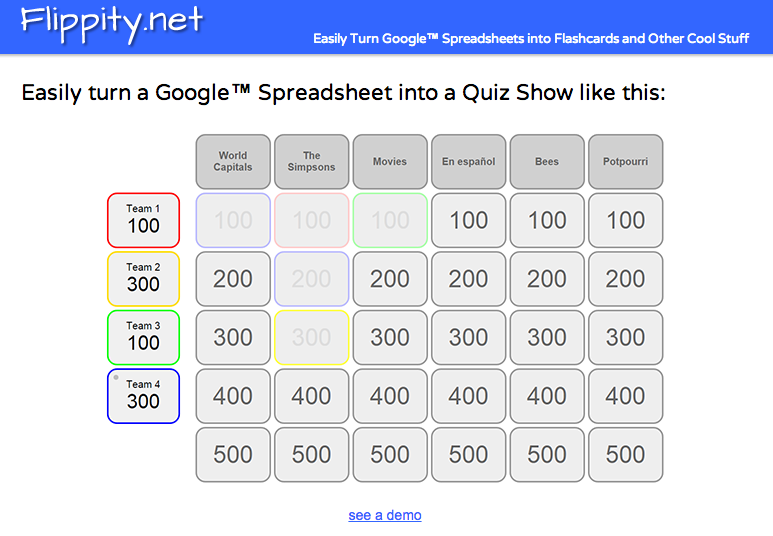 This morning Steve Fortna informed me that you can now use Flippity to create Jeopardy-style gameboards through Google Spreadsheets. In the video embedded I demonstrate how to use Flippity to create a Jeopardy-style gameboard.